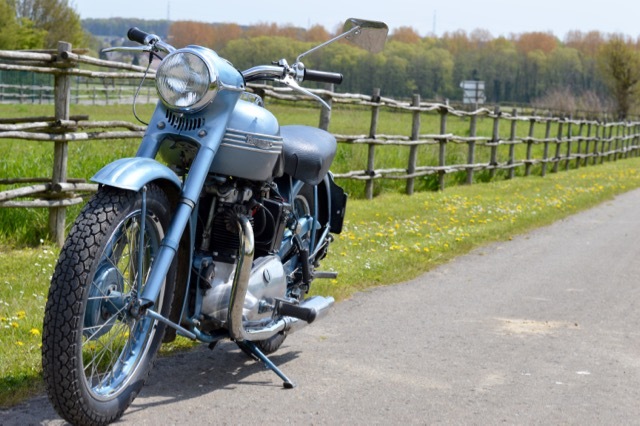 Triumph brought European motorcycles to a new level when they launched their parallel twin “Speed Twin” in 1937 on the Olympia Motorcycle Show. 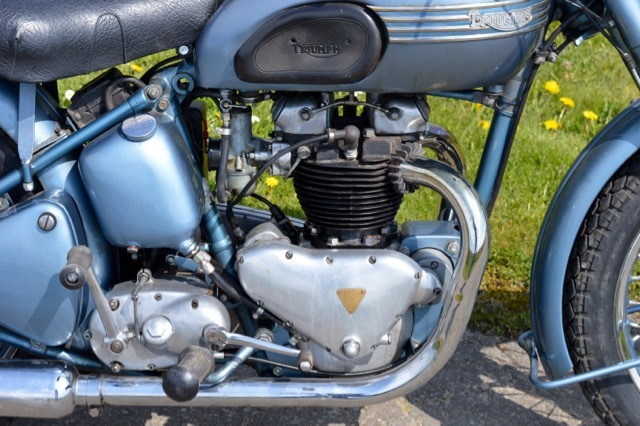 Since then parallel twins have been Triumph’s trademark. But after WWII, mainly American riders were thriving for more power and speed. The “old” Speed Twin was too small in terms of cubic inches, especially compared with the big V-twin Harleys and Indians. 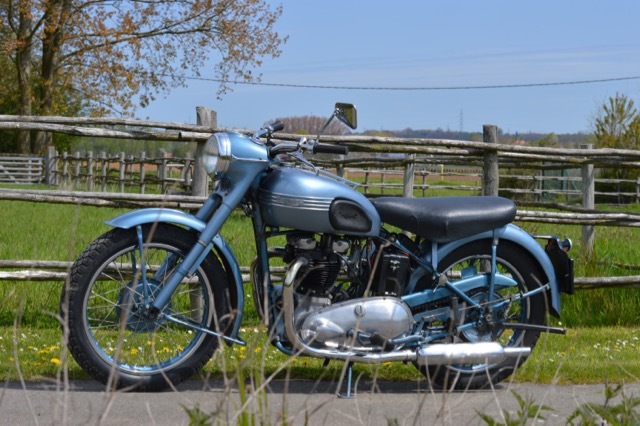 In 1949 Triumphs answer was the 6T Thunderbird, a 650cc parallel twin based on the iconic Speed Twin (+2mm stroke, +9mm bore). The Thunderbirds engine produced 34HP, had much more torque in the lower range, and combined with a higher final drive it was perfect for sustained high speed cruising. 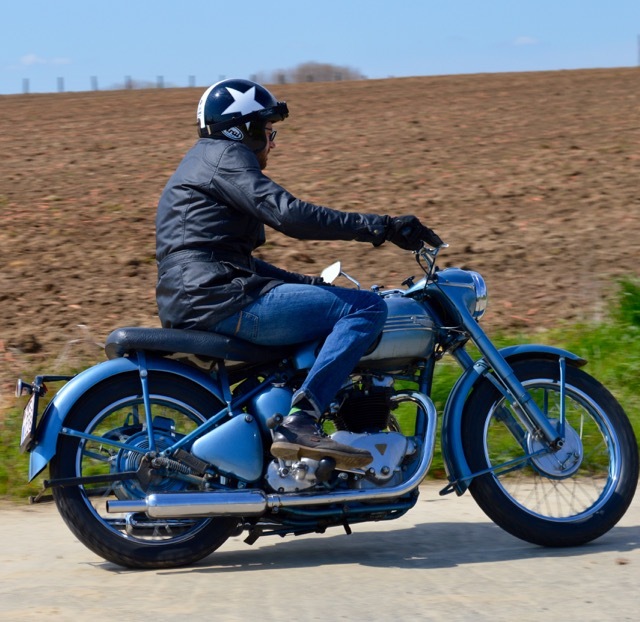 Sensational as the Thunderbird already was, Edward Turner decided to launch the new Triumph with even more spectacle: their sustained high speed capabilities were to be tested and proved at the Montlhéry racetrack. Three standard Thunderbirds were equipped with panniers filled with spares and were driven from Meriden to Montlhéry. There the panniers were removed, and some minor modifications were done to the bikes (rear-set footrests, bigger engine sprocket, KLG racing plugs, …). Three race pilots thundered endlessly around the oval racetrack, covering 500 miles at an average of over 92mph! The Thunderbird was even more immortalized when Marlon Brando rode one in the 1953 biker-gang movie “The Wild One”. This 1951 Thunderbird was completely restored in 2003 and carries a nice patina. 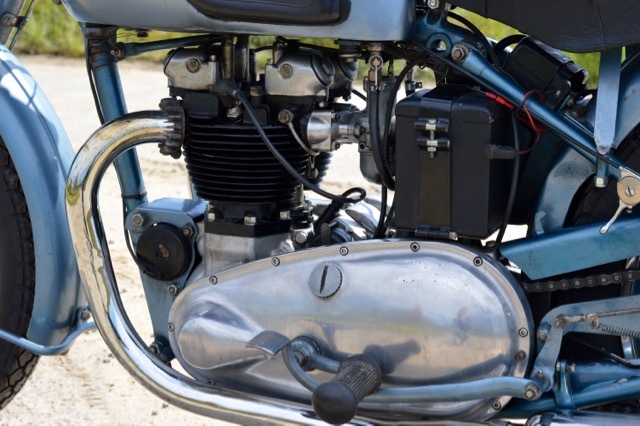 In 2011 following extra work was carried out to make it a riders bike: complete engine rebuild, primary belt drive kit and new clutch, SRM clutch pressure kit, magneto overhaul, front brake upgrade to a servo brake shoe system (invoices present). The Thunderbird starts really easily, even after several weeks standing: just put on the choke and flood the carb and she fires instantly. Riding this bike is really fun! The engine is really tractable, with lots of bottom torque and a revvy engine. 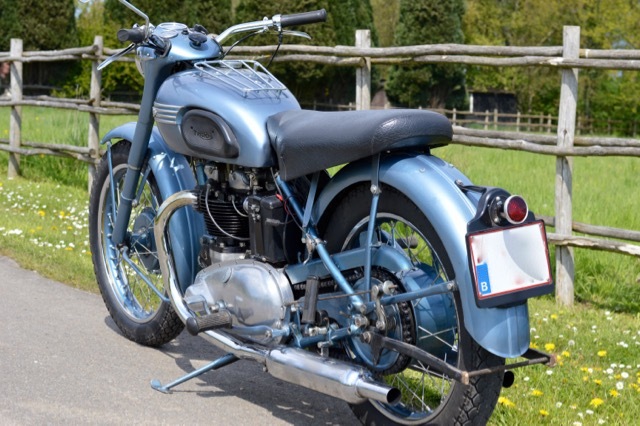 Probably the more modern Amal monobloc carburettor makes for easy starting and a smoother ride. She sounds and rides just great! 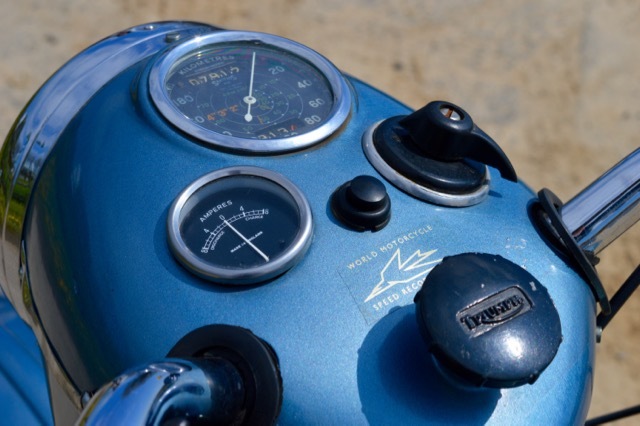 One negative point is that the varnish around the fuel filler cap has been affected by fuel. As I wrote previously: it’s a rider’s bike! There is also an original solo seat + buddy available instead of the dual seat which is mounted now! She comes with Belgian documents. A great opportunity to buy a not so common first model Thunderbird, in great condition. Looking at the rapidly increasing prices of Bonneville bikes, the Thunderbird is next in line and become sought after, so hurry up!